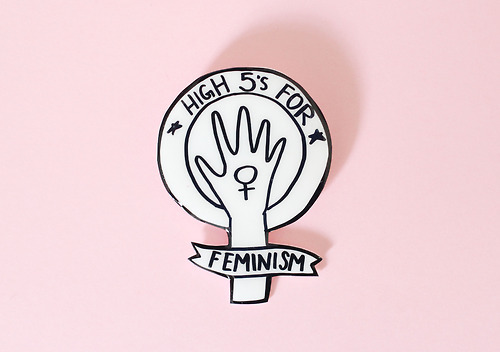 It can be difficult to maintain feminist ideals while still loving popular culture; mostly due to the fact that popular culture is still having some diversity and gender inequality issues on all fronts. Many people have trouble enjoying things in the ever-growing plethora of popular content that is evolving day by day due to their feminist beliefs. However, I don’t think it has to be so difficult. There are plenty of ways to make it easier on yourself while still enjoying your favorite pop culture mediums and that’s what this post is all about. Below are a series of tips which I have found to be helpful in terms of being a feminist and still enjoying a lot of things which are far from perfect. Be welcoming to feminist critiques. You don’t have to like or agree with all of them, of course, but I think it’s important to always see all angles of an argument. While you may not find a specific thing to be offensive, other people might and they may or may not have very good reasons. Even reading a contrasting opinion and sharing why you disagree creates important dialogue that can lead to better, more constructive opinions all around. It’s all about talking with one another and coming up with ideas which can help out future content. Possess the ability to be a critical fan. A lot of the things we love have problematic aspects but that doesn’t mean we can’t or shouldn’t love them. It means that we need to be able to understand what is problematic and why, with the intent of championing a change in the way future content is made/presented. Instead of writing off a thing because of an offensive aspect, or hypocritically ignoring the offensive aspect altogether, try to understand that nothing is perfect and that changes may be needed regardless of how much you like the thing. No matter what there will always be contrasting opinions. Try to educate your rivals rather than spew insults back at them. A lot of people will argue against feminist ideals and opinions from ignorant and/or misinformed mindsets. Often times when they are shown the facts and talked to politely they not only concede but they also learn something and can pass that knowledge along which is super awesome. Keep in mind that you don’t have to defend anything to anyone and that debate is an opinion. It’s damn difficult to express feminist opinion on the internet and you will constantly be poked and prodded for detailed explanations and arguments from people who don’t agree with you. While debating properly is a good thing, sometimes it’s just not an option. Don’t sweat it when an irrational person tries to corner you or harass you for sharing your opinion. You aren’t under any obligation to back up your thoughts or feelings with statistics and data. Likewise, you are under no obligation to even reply to people who attempt to harass you. Pick and choose your battles properly and don’t feed the trolls. They aren’t worth your time as they rarely want to learn and are typically looking for a way to use your words against you so that they can “win” the debate. Just because other feminists have an opinion doesn’t mean that you have to share it. 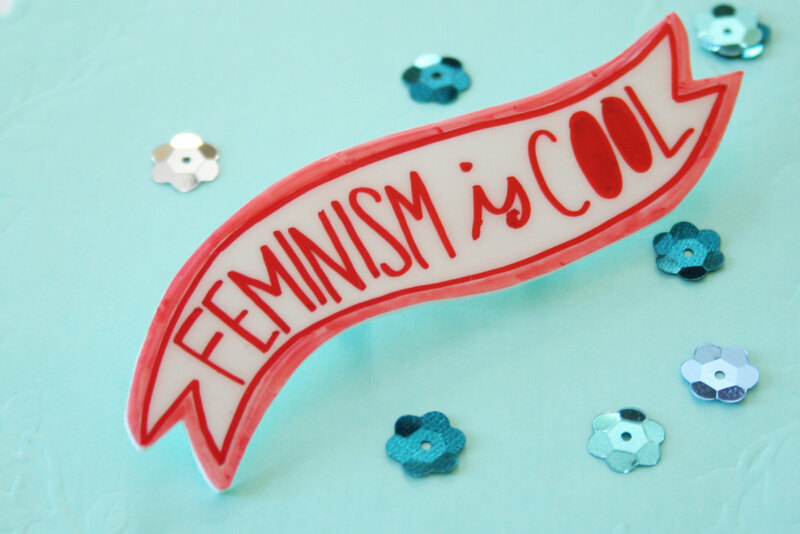 Feminism isn’t about being a hive mind, we all have different thoughts and opinions on certain subjects. With most pop culture subjects there is no right or wrong thing to like/enjoy (unless something is blatantly and/or intentionally sexist, racists, homophobic, etc.). You may find feminist elements in something that others didn’t and vice-versa. Just be aware that some people have differing opinions for good reason and sometimes it’s very important to listen to them. For example, I may like something but not realize that it is offensive to people of color because I am white. Take the time to listen to others and fully understand where contrasting feminist opinions are coming from, you may learn something. Be able to admit you were wrong. This isn’t necessarily a feminist tip, as it applies to all people, but it’s still important when it comes to feminism and internet culture especially. Sometimes, your opinion isn’t the right one to have and is offensive and in need of change. Sometimes, you might think you have all the facts but actually don’t. Sometimes, you’re simply wrong. It’s no big deal, it happens to everyone, but instead of digging a deeper hole for yourself by denying your faults – admit them. It’s okay to be wrong and in many ways accepting that can lead to learning experiences and a better outlook on content in general. Be as open-minded and supportive as possible. In order to really enjoy popular culture you have to be able to open your mind and understand that not everything is 100% perfect in terms of equality and inclusion. The key is that however flawed something may be it can still be enjoyed and you can use your opinions to change the outcome of future content. We live in a world where, with some effort and teamwork, we can easily discuss ideas and push together for more inclusive content in all popular culture mediums. Support other feminists and engage them in conversation whether it be politely debating a contrasting opinion or discussing something both parties agree on. We are all in this together and being open and welcoming to all people is a cardinal rule, in my book. With all that in mind remember this: You aren’t less of a feminist because you enjoyed Bryce Dallas Howard’s character in Jurassic World, high heels and all, or more of a feminist because you heavily criticize every potentially offensive thing in the media. There is no such thing as a level 50 feminist versus a level 15 feminist. Enjoy what you enjoy and criticize what you don’t. As long as you are comfortable, having fun and following the above tips then you should be golden! I’d love to hear from my readers in regards to this post and I’d really enjoy seeing some more tips shared among us. If you have anything to add, ask, share or discuss be sure to leave a comment! Next Next post: Star Wars Episode VII Character Posters Are Here! Definitely agree with this. I have seen how bad conflict can be to our lives, so the “pick your battle” advice is gold. Thank you for this article, Kelly. I think learning to properly debate is a great tip! That’s the hardest part for me. I notice sexism even in small things, but am sometimes not quite sure how to share my opinions even with my friends. I guess it’s a talent to share your views in a non-threatening way and encourage a real discussion about feminism that doesn’t turn people off. I agree, being able to recognize faults while still enjoying a thing is so crucial for any fan of pop culture, especially feminists. It makes life more enjoyable and really helps move things along in a rational way! I agree with you. It’s hard to maintain a good debate without raising your voice or getting angry. People are to different and react to every single word you say. For example. One of your sentence triggered something in my head: “I notice sexism even in small things, …” and one thought went through my head: “Maybe you’re overreacting?” Which again might trigger a certain reqaction on your side, because it’s one of the stereotypical answers. What I can say and recommend. Learn to relax and to ask questions. In this specific situation I would ask: What exaclty do you mean with “I notice sexism even in small things,…”? And this is really hard. Getting over my own ego as someone, who thought through a lot of things and who has a very grounded opinion on many topics. But I learned, it’s possible. You present a bunch of points here that make me feel like you’re “doing it right.” I wouldn’t call myself a feminist, but I’m all for equality and diversity in all facets, so we have similar end goals. Some feminists rub me the wrong way, they end up coming across as hateful, bitter and uneven. Its as if they are reflecting the hate that is flung their way, rather than trying to help make the world a better place. I’ve found your point of view refreshing and just thought you should know so!